you sure didn't appear nervous showing your quilts on Monday! 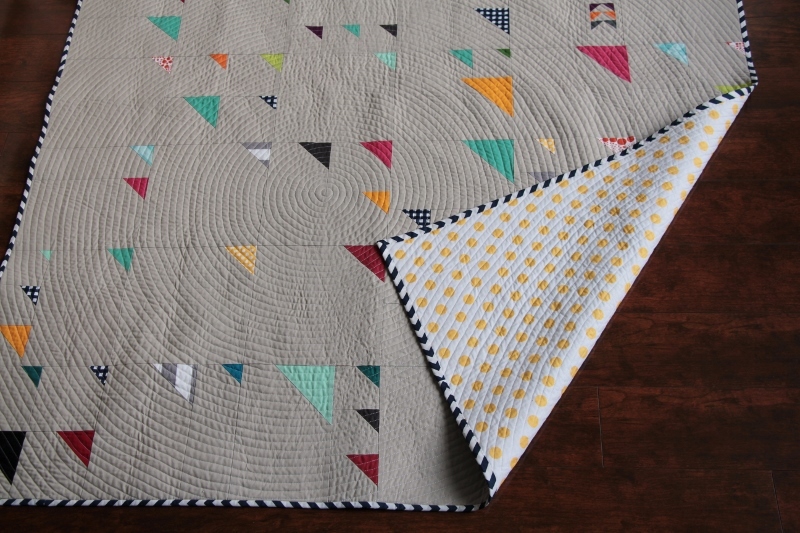 Fabulous quilts! I love the spiral quilting. 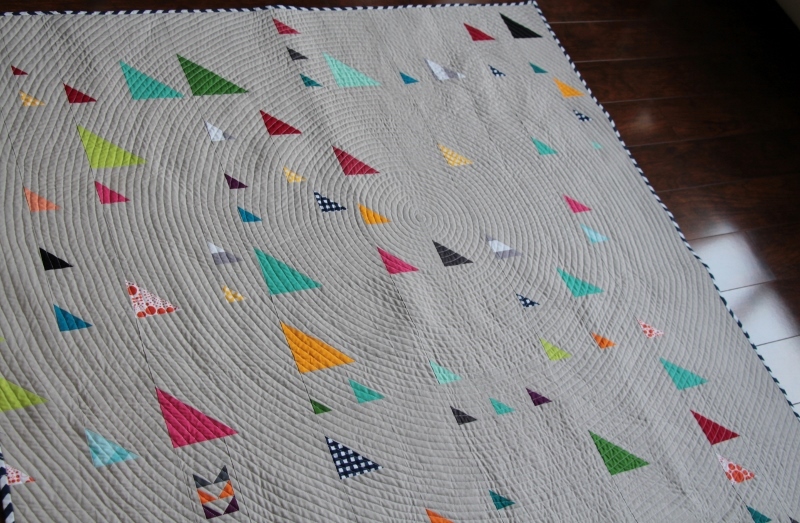 The whole quilt is beautiful. 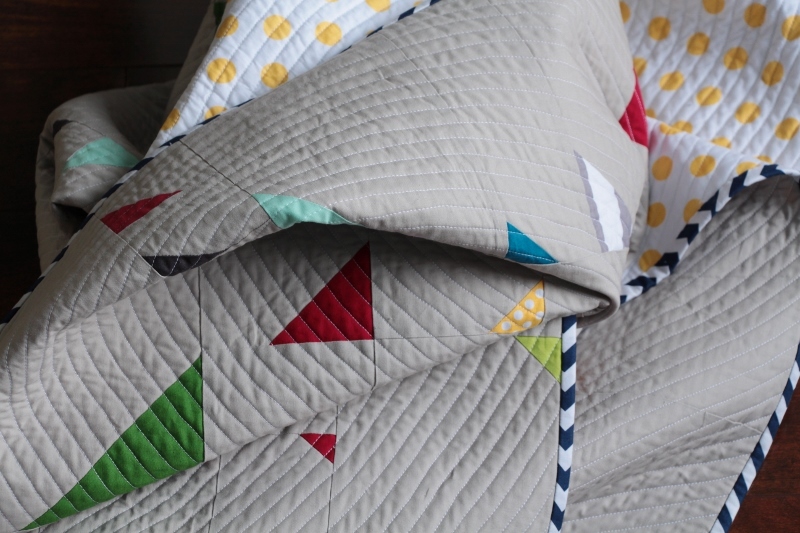 I love everything about this quilt, the pattern, the fabric, the quilting, the binding, the back. PERFECT. Nice work!! 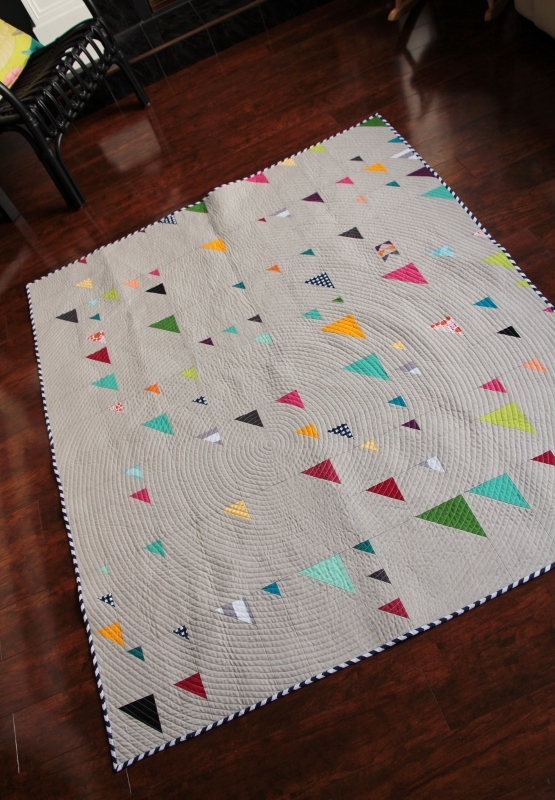 It's awesome, I saw it on the MQG blog and loved it there, so was pleasantly surprised when I clicked through from Crazy Mom Quilts to see it again here. That is so fantastic to be in the top 10 - that must be such a great feeling. A very striking quilt. Love it! It's gorgeous, Jade. I'm so happy that you overcame your nervousness to show it at show and tell so we could all see it in person. Congrats on the top 10 finish!! I love this! The quilting really makes the quilt so dramatic. Congrats on the well deserved top 10 placement! Striking! 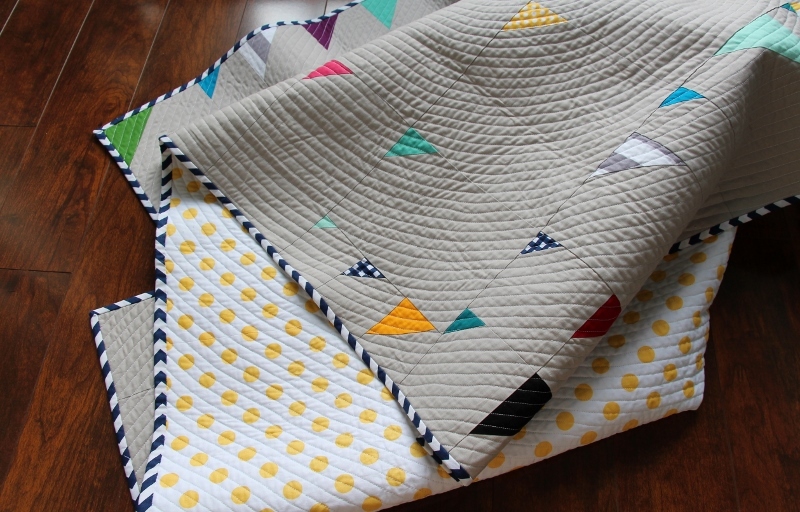 Everything about your quilt is amazing, the quilt design, fabric choices and of course the quilting too! Love it! 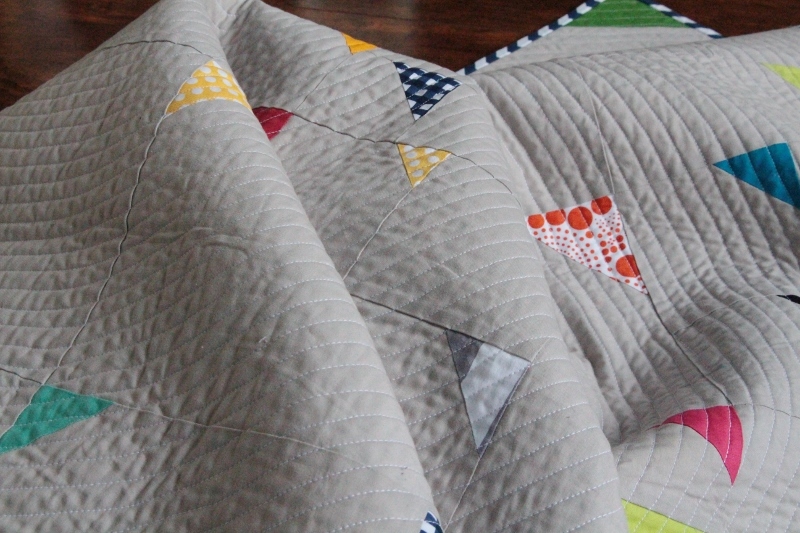 How hard is it to do the circular quilting? Congrats making the top ten! It is well deserved! I love it! All of it! Congratulations on being a finalist in the challenge. Good luck! I only just now saw this but I love it!